In the midst of homeschooling high school, it can be easy to forget the purpose of what you are doing. You homeschool children, but you launch adults. 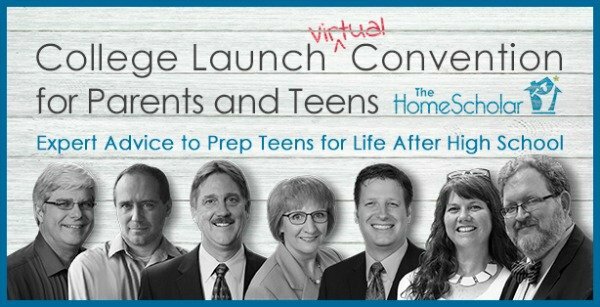 To help you prepare your child to go out into all the world and make it a better place, I’ve collected a panel of experts for a mid-winter virtual convention. 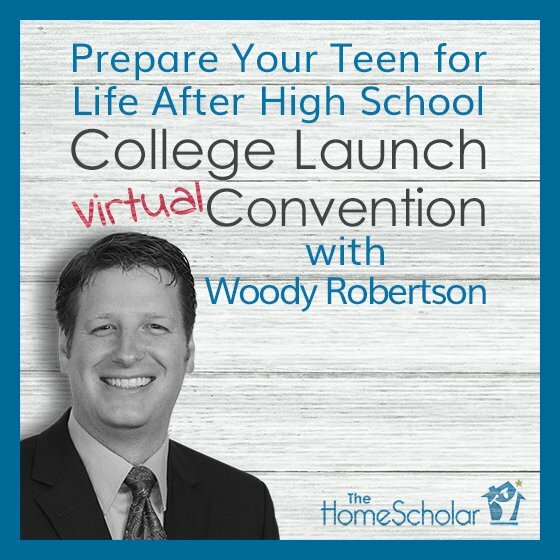 How would you like some expert advice to prepare your teen for life after high school? I've got you covered! Join me February 12-23 for daily workshops. This event is completely free, but you must register for each speaker separately. Get daily inspiration from a variety of experts on what happens after homeschooling high school. This is important as you prepare for the next stage in life. Dr. Jay Wile will be presenting two topics during the convention. You may recognize his name from your homeschool science textbooks. Dr. Wile holds a Ph.D. in nuclear chemistry and a B.S. in chemistry, both from the University of Rochester. He is best known for his award-winning K-12 science textbooks. Find Dr. Wile’s award-winning curriculum at BereanBuilders.com. In this seminar, Dr. Wile offers advice that should ease the transition to college. He will discuss selecting a major, note-taking strategies, guidelines for classroom participation, ways students should interact with their professors, time management, and ways for students to keep their faith strong, even in a hostile setting. Because myths are common in both science and history, students must understand that what they learn in their textbooks might already be out of date. Dr. Wile will give you practical advice about how to approach these kinds of situations and how to discern myth from fact. You may be familiar with his math curriculum. Dr. Callahan is the Associate Dean of Engineering at the University of Alabama in Birmingham. 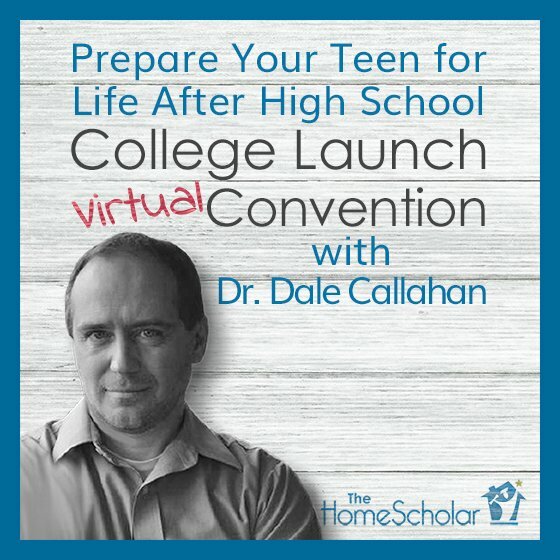 He and his wife, Lea, founded AskDrCallahan.com, a homeschool company which helps prepare homeschoolers for college and life. He has a special passion for developing young entrepreneurs. If we pick only the paths colleges or career counselors offer us (a limited selection of careers), we limit the great creativity and gifts we have been given. In this class, you will learn how to direct your student to find their calling and how to prosper in their calling. In this class, we will explore the possibilities for entrepreneurship by taking a peek into how people just like you (and your children) are serving the world and earning their living. Dr. Callahan will also provide you with the simple steps your student (or you) need to get started today in building a business you love. Hal and Melanie Young (RaisingRealMen.com) will be presenting two workshops. They are the award-winning authors of Raising Real Men and My Beloved and My Friend: How to Be Married to Your Best Friend Without Changing Spouses. Hal and Melanie are publishers, writers, bloggers, and popular conference speakers internationally, known for their Christ-centered focus and practical, real-life stories. They are the parents of six real boys (four grown!) and two real girls and live in noisy, messy happiness in North Carolina. Ever wonder how the homeschool experience transfers to college? Worried about how to make the best of your next four years? John Calvin graduated from one of the most selective private schools in the nation. 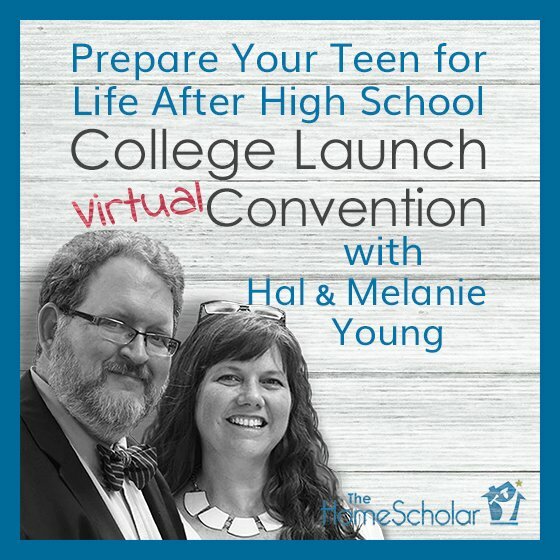 Hal and Melanie will share hard-won practical advice and encouragement for the college-bound student. Learn how to win over hostile professors, prepare for finals, and manage the stress and intensity of college academics successfully. Great prep for kids headed to college! At eleven, one of Hal and Melanie's boys was just learning to read and at fourteen he still struggled to spell three letter words. Little did they know that he'd be reading ancient philosophers for fun at seventeen and that he'd go to college on a full academic scholarship! In this workshop, Hal and Melanie will talk about how to help your struggling learners through high school (and give them a love of learning! ), how to get accommodations on the SAT and ACT, and how to find out what help a college can give them. And you'll be surprised just how much they can do! Their struggling learner is on the Dean's List at his college and getting accommodations that really help. Andrew Pudewa is the Director of the Institute for Excellence in Writing (IEW.com). He and his wife, Robin, homeschooled their seven children and are now proud grandparents of ten, making their home in Tulsa, Oklahoma. Traveling and speaking around the world, Andrew addresses issues related to teaching, writing, thinking, spelling, and music with clarity, insight, practical experience, and humor. Presented by IEW’s humorous and engaging director and master teacher, Andrew Pudewa, this workshop will provide invaluable insights for achieving success in college-level writing. 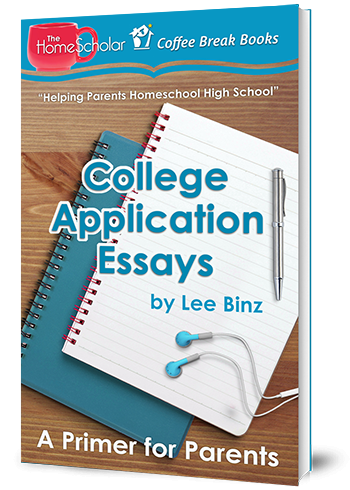 Parents of teens will learn detailed strategies for success to employ when writing college entrance essays. Applicable to college course work as well, you'll learn techniques for generating excellent content, writing compelling essays, and mastering style variations so that the final product appeals to the audience—in this case, the college professor! Woody Robertson of Lumerit Scholar Unbound, formerly CollegePlus, is a first generation homeschool graduate passionate about reaching the next generation. An entrepreneur and visionary, Woody has been a principal player in several start-up companies. He earned his accredited BSBA in General Management in 18 months for under $10k from a State University! A frequent motivational speaker at conferences nationwide, Woody’s information-packed sessions are innovative and inspiring. In this class, you will discover that all learning is founded on one key—the ability to take in information and then remember it. Most people are never taught how to effectively learn. Each school year, students spend countless hours studying, only to have the information seemingly disappear when they need it most. Whether a parent or student, in this interactive and practical session, you will learn how to use study tools such as speed reading and memory techniques which will radically change the way you learn. 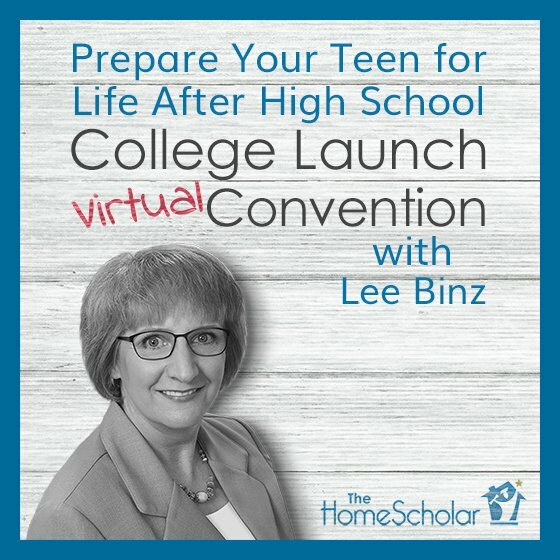 Lee Binz, The HomeScholar (Hey, that’s me!) will be presenting a workshop, too! 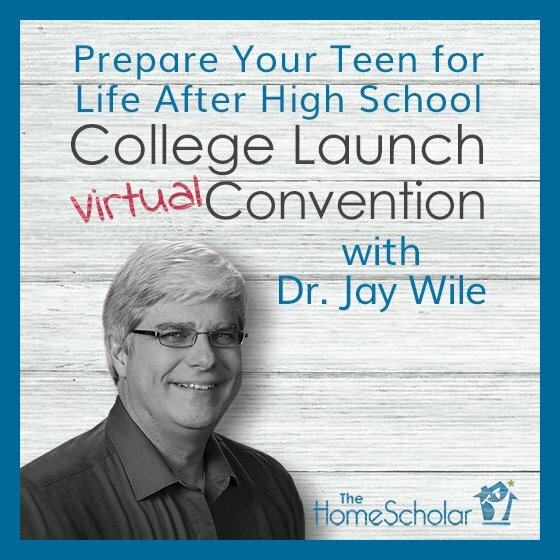 Please join me on my birthday for the final presentation of the College Launch [Virtual] Convention! In this class, you'll learn why merit scholarships provide the most money. I'll teach you which college admission test is best, the SAT or ACT, and why. I'll show you how to make sure your child will stand out above the crowd, regardless of their gifts or challenges You'll learn how to find a college that gives great scholarships, and the secrets to creating homeschool records that will reduce college costs. Stay to the end of this class and you will receive downloadable information on need based scholarships as an extra bonus. This class includes a 7 page workbook for those who attend as well as a 14 page “Need Based Scholarships” white paper. Attending this free convention with your teens will be the best thing you do all winter! Join me and get a jump on your big picture plan! 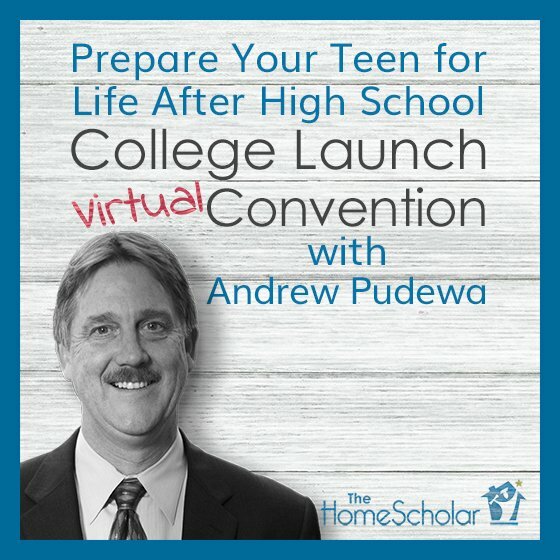 I've been getting lots of questions about preparing teenagers for life after homeschooling - whether that's college or career. This free event will answer those questions, so put it on your calendar! Share this important event with friends; they will thank you for it! Be sure to click on each “Register” button. I'll send you a reminder a day before each class as well as two hours before it begins so you can get home, get ready, and settle the kids before class starts. If you need help right now and are struggling with preparing for college and launch, consider joining the Gold Care Club. I don't judge your homeschool or evaluate your children, instead I come along beside, to help and encourage you. The Gold Care Club is a complete homeschool high school online support system. In addition to “How-To Training” for parents at every stage, membership provides classes, tools and templates. Only Gold Care Club members can benefit from weekly, one-on-one coaching by phone or email and exclusive live member classes each month, during which time members receive answers to the questions that are unique to your situation. Copyright © 2018 The HomeScholar LLC, www.HomeHighSchoolHelp.com. Text may be reprinted without permission if used in full, except for use in a book or other publication for rent or for sale. 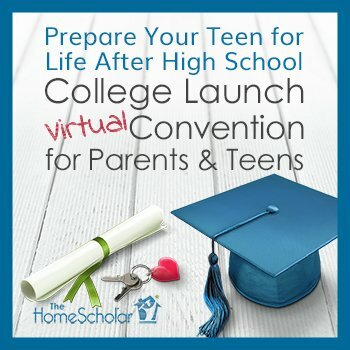 Reprint must include this copyright, bio (below), and the original URL link (https://www.homehighschoolhelp.com/college-launch-virtual-convention-for-parents-and-teens).